Fan Blade. Includes Hub On Intake Side. Blades: 4. Diameter: 12". Rotation: Cw. Fan Blade. Includes Hub On Intake Side. Blades: 2. Diameter: 14". Rotation: Cw. Fan Blade. Includes Hub On Intake Side. Blades: 4. Diameter: 16". Rotation: Cw. Fan Blade. Includes Hub On Intake Side. Blades: 5. Diameter: 16". Rotation: Cw. Fan Blade. Includes Hub On Intake Side. Blades: 2. Diameter: 18". Rotation: Ccw. 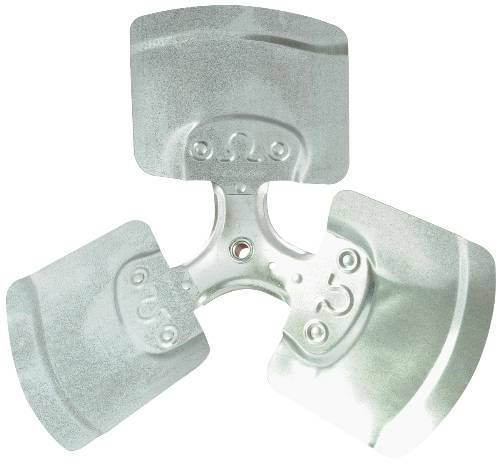 Heavy Duty 4 Wing Condenser Blades. Accommodates Universal Adaptor Hubs. Durable, Efficient and Quiet Blades Made From High Strength Aluminum Alloy. Use with A/C, Heat Pumps, and Circulators. FAN BLADE HUB 1/2 IN. 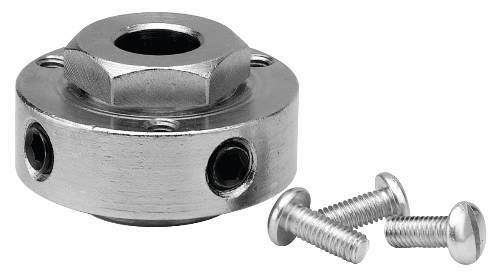 1/2" Bore Universal Hex Hub, 2 set screws. 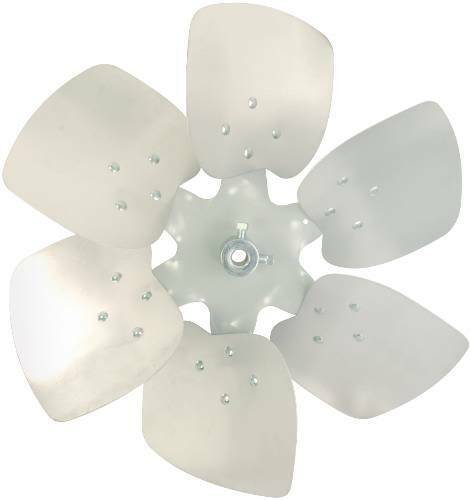 GARRISON CONDENSER FAN BLADE CW 18 IN. 3-BLADE 18 PITCH 1/2 IN. Hvac Repair Part. Garrison Oem Condenser Fan Blade. Diameter: 18". Rotation: CW. Blades: 3. Pitch: 18". 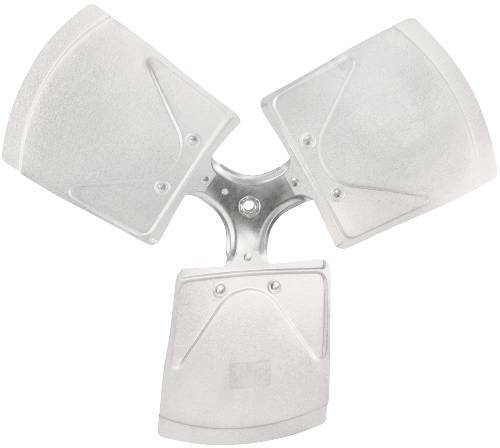 GARRISON CONDENSER FAN BLADE CW 18 IN. 3-BLADE 19 PITCH 1/2 IN. Hvac Repair Part. Garrison Oem Condenser Fan Blade. Diameter: 18". Rotation: CW. Blades: 3. Pitch: 19". 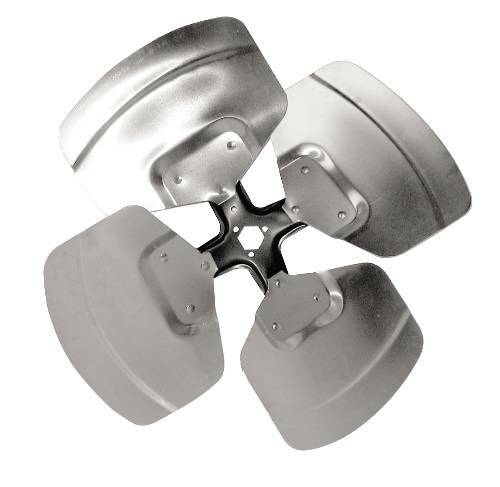 GARRISON CONDENSER FAN BLADE CW 24 IN. 3-BLADE 18 PITCH 1/2 IN. Hvac Repair Part. Garrison Oem Condenser Fan Blade. Diameter: 24". Rotation: CW. Blades: 3. Pitch: 18". Goodman OEM Condenser Fan Blade. Diameter: 26". Rotation: Ccw. Blades: 3. Pitch: 20. Goodman OEM Blower Motor. Hp: 3/4. Speeds: 4. 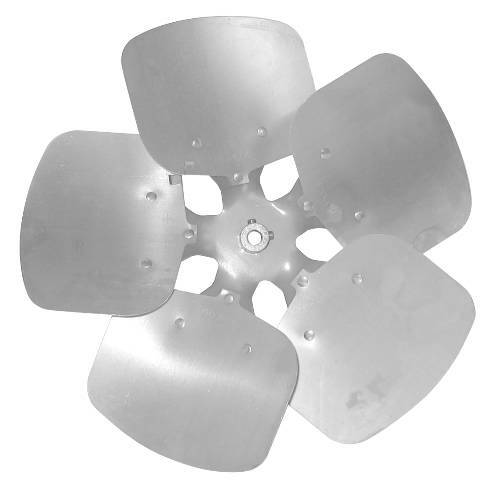 Goodman Blower Wheel 9" X 6"
Goodman OEM Condenser Fan Blade. Diameter: 22". Rotation: Ccw. Blades: 3. Pitch: 28. Goodman OEM Condenser Fan Blade. Diameter: 22". Rotation: Ccw. Blades: 3. Pitch: 24. Goodman OEM Condenser Fan Blade. Diameter: 22". Rotation: Ccw. Blades: 4. Pitch: 22. Goodman OEM Condenser Fan Blade. Diameter: 20". Rotation: Ccw. Blades: 3. Pitch: 28. Goodman OEM Transformer. Primary: 208/230. Secondary: 24.